The gas cylinder label denotes a gas under pressure that may explode if heated. OSHA regulations passed in May 2012 require all hazardous substances to be labeled according to new international standards, called the Global Harmonized System (GHS). Label is made using prime scan polyolefin and semi-gloss paper and meets the international safety requirement. Chemical labels use a polyolefin film that has been used for shipping chemicals and for chemical drums. 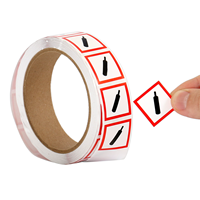 This aggressive adhesive that sticks well to labware, metal containers, shipping boxes and most other clean surfaces. 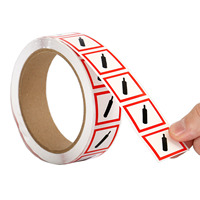 Label film is conformable and this makes these labels suitable for rounded surfaces. 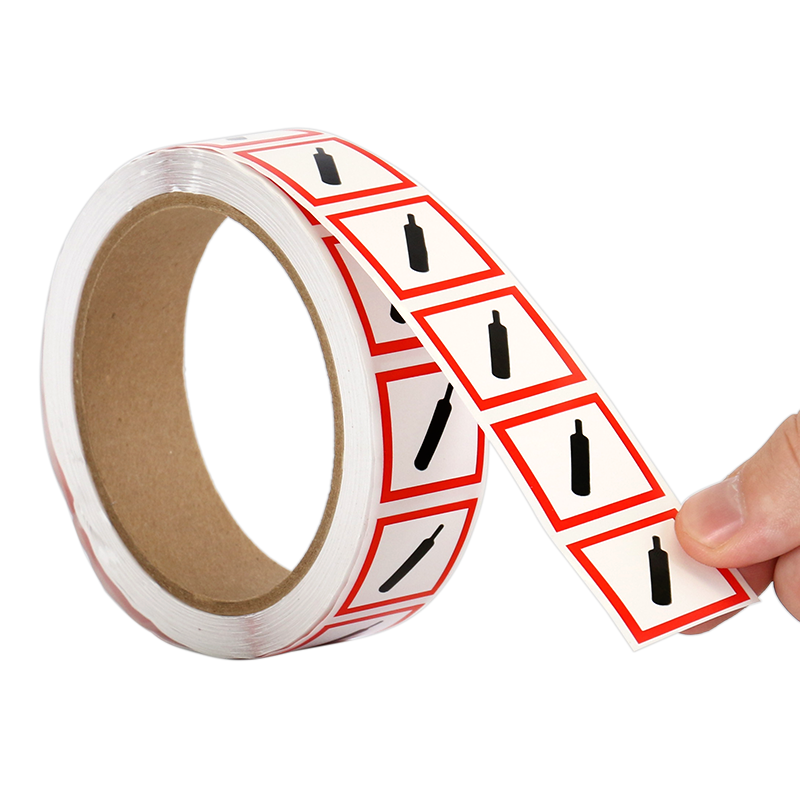 Plastic label material withstands exposure to most chemicals and can be wiped down easily. 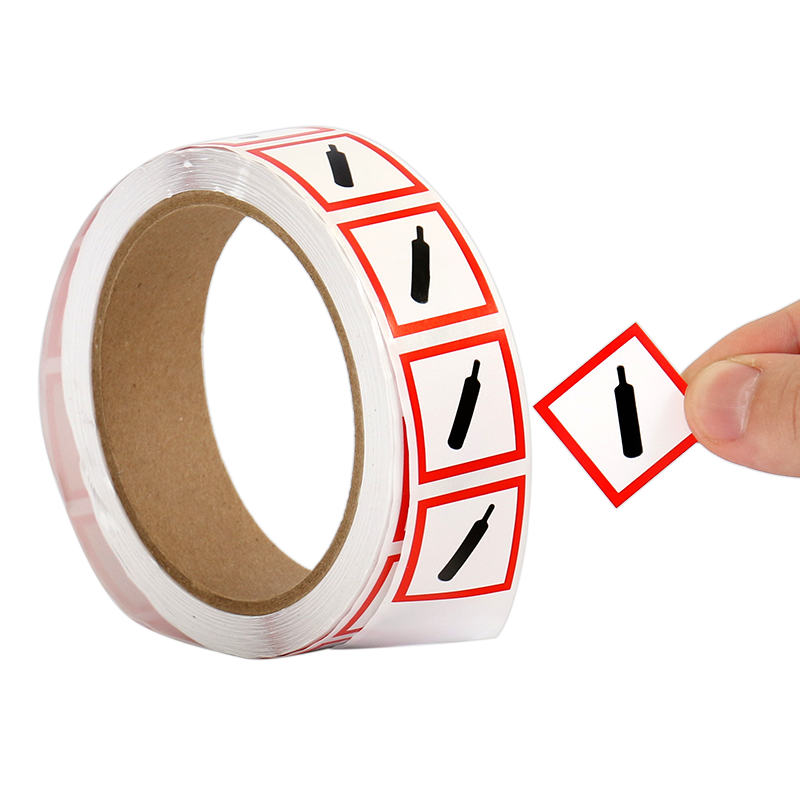 Labels are flexographically printed with permanent inks. Made from semi-gloss 2.6 mil paper that can withstand light contact from most chemicals and is ideal for chemical containers. Semi-gloss paper reduce glare, without compromising the vibrancy and sharpness of your message or graphic. The tackified .7 mil acrylic adhesive is permanent and provides good adhesion on an array of substrates. Labels have a Kraft white 41# paper liner that is disposable. Labels are flexographically printed, using UV stable durable inks.